Studies have proven that our first opinion of someone forms within a tenth of a second. That’s not much time to impress. Furthermore, said studies have revealed that your first impression has a high correlation with the actual long-term status of the relationship. Trade show exhibitions are no exception. Having a successful trade show experience and creating a remarkable booth/display is simple as long as you’re willing to invest a little time, funding, and creative juices into this endeavor. What do you ultimately want to get out of it? How many leads are you hoping to generate? Which products or service subscriptions are you trying to sell? Are you working on launching a new product or are you focusing on brand awareness and promotion? While you can certainly have more than one goal, the key is to be confident about what your participation in the trade show is going to achieve. Before selecting a trade show to participate in, it’s important to contemplate and research which one would be the best fit for your company. The goal is to select one that will give your business the most significant ROI related to your goals. If your goal is on-site sales, then a large, flashy trade show where you are one among dozens selling a similar product is probably not the best fit. It’s important to select a trade show that aligns with your participation goals and best targets the audience you’re seeking out. Learn what that specific trade show’s objectives are and research the show’s audience. Once you’ve chosen a trade show to participate in, you need to learn everything you can about the space. Where is your booth’s location on the trade show floor? Is it high traffic or low traffic area? What are the physical conditions of the space? (Lighting/acoustics/amount of space rented for your booth). By knowing these things, you’ll be able to plan your visual strategy effectively. Incorporate the use of large format products such as banners, banner stands, and advertising flags as eye-catching visuals can help draw a crowd. The more polished and professional you look, the more likely people will take you and your company seriously. 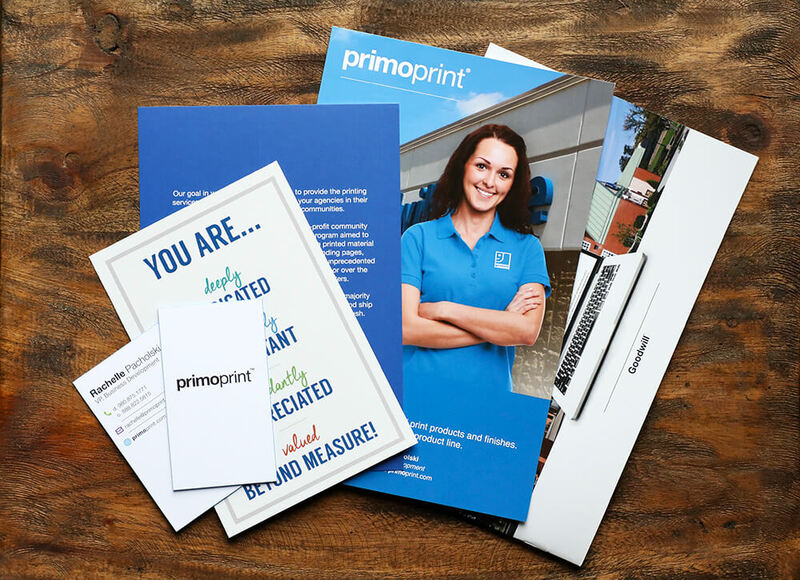 Get the word out that you’re participating in an industry trade show by inviting your clients, suppliers, contacts, and customers to attend the show via direct mail. Be sure to list all the necessary details, particularly the location, date, time, and your booth number. It’s important that you advertise your upcoming trade show attendance on digital platforms as well. Be sure to include a link to the trade show information on your website, app, and social media accounts. Find out what forms of social media the conference organizers are utilizing. Does the conference have a Twitter or Instagram feed? Find out what the hashtag is for the event and post what you are promoting to engage with attendees. Make it easy for people to see your booth by displaying a banner or indoor flag. If you can make your service or product interactive, people are more likely to stay, and a crowd will form. Try to create interactive trade show displays, such as a game or quiz on a tablet or computer. Run a contest or create trade booth giveaways. Running a contest or having a prize drawing is a great way to gain contact information from attendees. It doesn’t have to be fancy to draw people’s interest. Make sure that you have a hefty supply of business promotional items flyers, brochures, order forms, sell sheets, and high-quality business cards. You can easily and quickly hand them out to booth visitors. Distribute attention-grabbing stickers with your company’s logo. This makes it easy for them to find information about your business after the show. Place these items in a location that requires people to engage with your trade show display. That way, you’ll have a higher chance of conversing with them about your product or service. Offer a friendly greeting to those who come to your trade show display and welcome their questions. Remember to use body language that is inviting and friendly. Chat with visitors and learn more about what aspect of your business they’re most interested in. The ultimate goal here is to draw them in without overwhelming or intimidating them. Make sure to follow up with your contacts and leads during the show as soon as possible. The longer you wait, the longer they have to forget you and your business. Don’t be afraid to reach out too quickly. It’s typical to wait one day after the show to follow up with potential prospects. If you wait too long, it will dilute the connection. Email is a great way to follow up with your leads follow the show. Holly McCully compiled the best practices and templates for a quick and effective lead – 5 Follow Up Email Templates for Trade Show Leads. Give it your all and take plenty of time to prepare. Trade shows are a significant investment, so make it worth it. They indeed can be a rewarding experience and produce a considerable return on investment (ROI) not only in potential clients but in knowledge.